NEW PHOTO FORMAT! This brochure targets 3 flu fighters, symptoms, self-care for colds and flu, stopping germs, and more. NEW PHOTO FORMAT! Allergies in full swing can be a health & productivity problem. NEW PHOTO FORMAT! 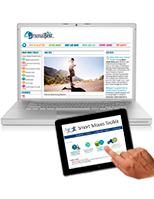 Features a risk assessment & 6-point strategy for heart health. Skin cancer can be prevented and, if caught early, cured. NEW PHOTO FORMAT! Awareness and early detection are the keys to being a survivor. BEST SELLER! 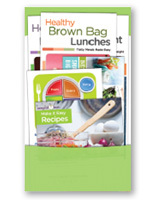 This brochure features a risk assessment and 7 steps to blood pressure control. NEW PHOTO FORMAT! Features a risk assessment & a 5-step defense for diabetes. NEW PHOTO FORMAT! Features a risk assessment, self-help strategies & general information. NEW PHOTO FORMAT! Learn how to be proactive in helping your headaches with this brochure. NEW PHOTO FORMAT! A handy guide to cancer screenings and risk factors.